The former mayor of New York City, Michael R. Bloomberg, will be spending $80 million on the Democratic campaign to help flip the House of Representatives during the midterm elections, reports the New York Times. So far, Republicans have gained a political advantage due to funding from outside groups, but Bloomberg’s contribution to the Democrats could shift the advantage drastically. 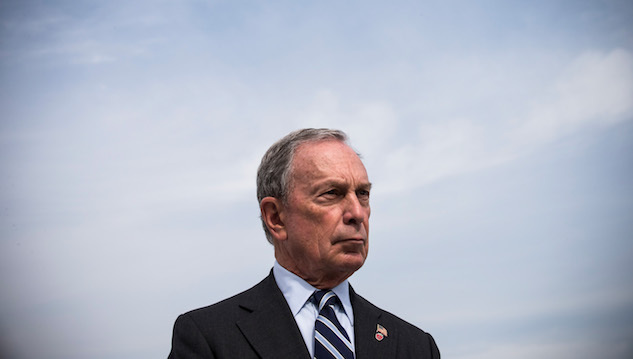 Bloomberg’s campaign contributions will be managed by former executive director of the Democratic Congressional Campaign Howard Wolfson. The pair has yet to choose which races they will be funding, but sources who have been briefed on his plans say he probably won’t get involved in rural, right-leaning districts because of his liberal views on gun control, immigration and the environment. Until now, Bloomberg has been a political independent and has divided his contribution spending between parties in past elections. He was a registered Democrat but switched to Republican in 2001 when he ran for mayor. He hosted a Republican convention in 2004 before leaving the party to become an independent. He also attempted to run for president as an independent in 2008 and 2016, but backed out both times. However, once Trump won the 2016 Republican primary, Bloomberg’s politics began leaning more to the left. He endorsed Hillary Clinton, called the Republican tax-cut law a “trillion-dollar blunder” and became a United Nations representative for climate issues after the U.S. withdrawal from the Paris Agreement. Representative Joseph Crowley of Queens said Bloomberg “recognizes the threat of this presidency” after an interview with him in which Bloomberg expressed his concerns. Bloomberg will have the most impact on the “purple-ish” districts, according to Democratic Representative for New Jersey Josh Gottheimer. There are 24 toss-up districts in the midterm races and Gottheimer said Bloomberg “plays very well in the moderate suburbs where we need to win seats.” Bloomberg has discussed the possibility of trying to run for president again in 2020 but this time as a Democrat, according to sources who spoke to him directly. For now, he remains the Democratic party’s most important benefactor and possibly the deciding factor in the 2018 House of Representatives midterm elections.